It has been a little while since I last posted however I assure you, I have been anything but idle. On May 6 I joined a panel to discuss uranium at the 2014 South Australian resources and energy investment conference along with Daniel Zavattiero (Minerals Council of Australia), Greg Cochoran (Deep Yellow Ltd), Steve Johnson (Alliance Resources Ltd), Stephen Biggins (Core Exploration Ltd) and Jason Kuchel (SACOME). Being an investement conference, a lot of discussion focused on the impact of the low price of uranium on project development. From a direct point of view this matter is of little consequence to me as I have no financial interest in development of uranium resources. It is certainly of interest from the point of view of the health of the sector and what that says about directions in energy (if indeed it says much at all… there are a whole bag of factors feeding into this low price). Based on discussion this currently low price certainly is impacting project development. When asked for my perspective I reinforced some of the messages from the presentation from Daniel Zavattiero (which was very good and I hope will be shared), that from the point of view of the pressures of air pollution, growing energy demand and climate change, the fundamentals of uranium are rock solid (pun… yeah, intended, with apology) as the fuel source for this century. However we have certainly proven ourselves to be a pretty dumb species in terms of how much punishment we will take before embarking on big change so I did not recommend the room hold their breath from the point of view of time-frames relevant to projects today. I do, however, see many signs of a bloody big U-235 penny dropping all over the world as more leaders and analysts conclude that our options are actually seriously limited and any pathway that can meet energy demand while decarbonising require a hugely expanded role for nuclear power. I also reinforced a message previously delivered in these settings that if the industry wants better economic conditions, it needs to start focusing much more on building the brand of uranium. Screw the critics, it’s an incredible material with an incredible story to tell about the role it will play this century. I keep saying it, they keep inviting me back, and I will keep saying it! So, thanks again for having me. Last week I spent an hour with the Collinswood Probus club where I delivered a slightly shorter version of my original, now updated presentation Nuclear Power: From Opponent to Proponent. This felt like coming back to my roots. Presentations to community groups like this is how I started out over three years ago. I still consider them a hugely important part of the bigger picture of nuclear advocacy. Every presentation is a group of people who help bring forward intelligent discussion of nuclear. It’s great to know that there are many doing this work just as I do. Many thanks for the informative presentation that you gave to our club last Wednesday. 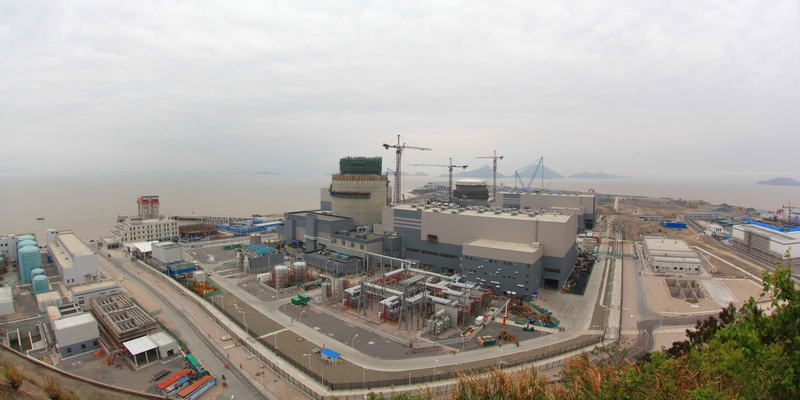 It was greatly appreciated by our members and helped dispel many of the myths about nuclear energy. So many thanks to Alan and the other members for having me. Most of my time lately has been spent on my first paper, which is currently out for peer review, co-authored with Corey Bradshaw and Barry Brook. A climate change special issue for a South Australian journal provided and ideal opportunity to deliver an analytic essay of the energy journey South Australia has taken since the commencement of wind development in 2003. We have researched and presented the benefits and limitations of this development in the context of South Australia and the whole National Electricity Market, reviewed the position of alternatives and proposed a path forward for replacement of fossil baseload. All going to plan, this paper will be available in coming months. Next month I head to Perth again to deliver one of the keynote addresses to the AusIMM International Uranium Conference 2014. My presentation is called High Energy, Low Pollution: Why we must bring forward the Actinide Age. I will be exploring the pressures and challenges of our energy system, both now and in future, and presenting the case for nuclear energy as the cornerstone of a successful century for humanity. I will publish the slide deck and script after the conference. I tell you this: preparing this keynote has been sobering. The energy injustice that exists today is staggering. Thanks all for the continuing readership, support, and collective effort. 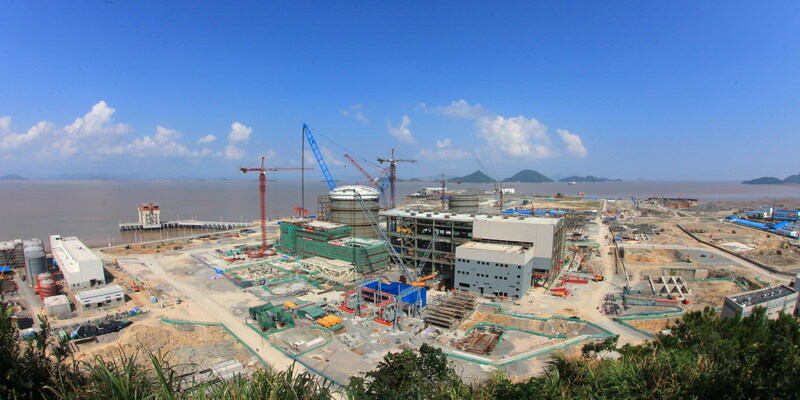 I’ll leave you with a little time lapse of the Sanmen nuclear power stations, currently under construction. This is a big part of the future: 2,308 MWe of dispatchable, zero-carbon energy on a tiny bit of land with no polluting stack. Strangely I find with my SA relatives it is the baby boomers (cohorts of Rann and Weatherill) who are antinuclear wheres Gen X and Y are quite receptive to the idea. I just checked to find that the mostly vacant Pt Stanvac site is 239 hectares (590 acres for the non-metric) as well as being swept by cool ocean currents year round. One site occupant is the RO desal plant that will work hard if we get El Nino weather. Sure it has some token PV but in dry times it needs to work 24/7. The trouble may be that homes near Pt Stanvac are owned by those who don’t want to live near NPP. On the uranium price I understand the Honeymoon ISL plant is now dormant waiting for a price increase. Another ISL producer bypasses U3O8 (or other oxygen salts) and makes UF6 as used for enrichment. Why not go to the next step? We know it has the blessing of former PM Bob Hawke. Ironically Japan has been paying record prices for LNG buying a third of world supply. If they restart their NPP the U3O8 price might recover. Yellowcake is about 85% uranium by weight. I presume the WNA figures make no energy deduction for mining, enrichment and fabrication. In contrast a medium grade bituminous coal that burns to give 20 MJ per tonne would need 25,000 tonnes to get that 500 GJ. At say $73/t that would cost $1,825,000 vs ~$63 for yellowcake for the same primary energy. It would also generate about 25,000 X 2.4 = 60,000 tonnes of CO2 versus a few kilograms of CO2 for nuclear depending on the supply chain. Our current crop of political leaders don’t think CO2 is a problem and the power stations are already built so coal it is then. When you consider the energy density of black coal (24 GJ/m3) and natural uranium (950,000 GJ/m3) we need to mine close to 40,000 times more coal by volume than uranium to meet the same electricity demand. I realise these figures may be a bit different to John’s. Economically we will always make more money from exporting black coal than uranium. Perhaps this may be the reason that politically we seem to be negative about nuclear power. Some suggest the reason natural gas is the main source of helium is due to decay of actinides in the underlying basement rocks…see the Wiki article on decay chain. The problem with this proposal is if the gas discovery is economic they only need a tiny amount to generate the same power onsite. Habenero has output 1 MW = 1 MJ/second. 1 kg of methane has ~40 MJ thermal heating value. At 40% thermal to electrical conversion efficiency they need 1000/(40 x 0.4) = 62.5 grams of gas per second. Why bother with transmission to Habenero some distance away? The answer must be they will get accolades and subsidies that completely misrepresent the underlying physical reality. The deep green distortion field engulfs us once again.